The New York Times has reported that the FBI want a redesign of any Unified Communications applications in America such as Voice over Internet Protocol (VoIP), email and instant messaging so they can check all content. They would do so with wire-tap legislation which is put together to prevent criminal activities. 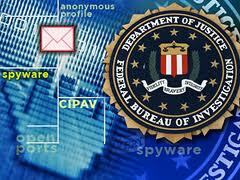 Over the last few years there has been an increase in VoIP used for criminal activities. This federal legislation would require websites, phone carriers and other service providers such as Skype and RIM to be able to unscramble encrypted network communications if requested. Currently the encryption on services like Skype is almost impossible for governments to crack due to their high customer security measures. Although the Communications Assistance to Law Enforcement Act requires phone and broadband providers to offer the authorities eavesdropping technology, VoIP telephony offers strong end-to-end encryption. Criminals including terrorist groups are taking advantage of this blanket to plan their operations and attacks in a way that the FBI has described as 'going dark'. An IP telephony phone system affords the criminals more secrecy than they could get from a traditional phone system. Valerie E. Caproni, the general counsel for the FBI, told The New York Times: “We are talking about lawfully authorized intercepts as opposed to just expanding our authority. That would preserve our ability to execute existing authority to protect national security and the public." He added: "Last year we spent $9.75m helping communication companies comply with surveillance requests." The draft bill will be submitted to the Congress next year, and it would also require foreign VoIP providers doing business in America to install a domestic office capable of performing intercepts. Yet the bill will meet with opposition from civil liberties campaigners who say that the provision of a backdoor access to VoIP transcripts could be abused by hackers and act as an invasion of privacy. A similar situation in Greece allowed VoIP Hackers to spy on the Prime Minister. It might also put US VoIP providers at a disadvantage over other countries which do not have the same regulations. 0 Response to "Feds want access to VoIP Transcripts"